LOVE it or hate it, it is impossible to ignore the Waste Management Phoenix Open, played in front of not only the largest crowd in professional golf but also the noisiest and most enthusiastic. It is not a tournament for sensitive souls as the fans spend much of the week drinking beer and are not afraid to let players know their feelings when a poor shot is played. Purists hate it but most of the leading protagonists on the PGA Tour are happy to turn up in Arizona to give it their best shot, knowing that the galleries will go crazy when they hit the ball close or hole an outrageous putt. Francesco Molinari, who is one of the most unassuming golfers on the planet, described his hole-in-one at the par three 16th, surrounded by thousands of well-fuelled spectators as one of the most memorable experiences of his career - and this is a man who won The Open at Carnoustie last year. When we talk about big crowds, we do mean big crowds. Last year, 64,273 people turned up for the final day, which coincides with the Super Bowl final. But that is small fry. On Saturday, 216,818 people paid to see the golf, the biggest one-day crowd in the sport’s history, and a total of 719,179 spectators came through the gates during the week of the tournament. Gary Woodland beat Chez Reavie with a par on the first hole of a playoff last year. Woodland birdied three of the last four holes for a seven-under 64 to finish at 18-under 266 at TPC Scottsdale. Reavie closed with a 66. After a bogey on the 16th, the former Arizona State player chipped to three feet for birdie on the short par-four 17th and then holed a 20-footer on the 18th to force the PGA Tour's fourth straight playoff. In the playoff on the 18th, Woodland hit short of the green from the left fairway bunker and chipped to two feet to set up his third victory. Reavie missed the green left and then missed an 11-foot putt. It was won in 2011 by Mark Wilson, in 2012 by Kyle Stanley, in 2013 by Phil Mickelson, in 2014 by Kevin Stadler, in 2015 by Brooks Koepka, in 2016 and 2017 by Hideki Matsuyama and in 2018 by Woodland. Matsuyama was also runner-up to Koepka in 2015. This is a tournament that should be made for Rickie Fowler, who lost in a playoff to Matsuyama in 2016. It is also no coincidence that Bubba Watson has a couple of runner-up finishes here, in 2014 and 2015. And both men are heading back to the desert, as is Phil Mickelson, who came so close to winning the recent Desert Classic. 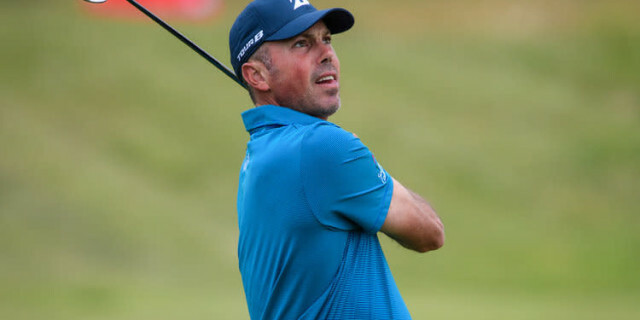 Matt Kuchar, a nine-time PGA Tour winner and four-time US Ryder Cup team member, will also be there, along with Sweden’s Alex Noren, who is still looking for his first victory on the PGA Tour. Kuchar has made a spectacular start to the 2018-19 season after a bitterly disappointing campaign last year, when he missed out on the Tour Championship after failing to secure a place in the top 30 in the FedEx Cup standings. He has already won twice this season, at the Mayakoba Golf Classic in Mexico, and at the Sony Open in Hawaii. He has accrued nine victories in a wonderful 19-year professional career and represented the United States four times as a member of the Ryder Cup team (2010, 2012, 2014, 2016) and in the 2016 Summer Olympics where he took the bronze medal. The 2019 event will mark Kuchar’s 10th time playing in the WM Phoenix Open – he has three top-10 finishes in Scottsdale, with his best a tie for fifth, which came last year 2018. Noren is coming off a strong 2018 campaign, in which he carded three top-10 finishes, including a T2 finish at the Farmers Insurance Open. Noren has 11 professional victories on the European Tour and was a member of the victorious European Ryder Cup team at Le Golf National near Paris last year. The field also includes Justin Thomas, Xander Schauffele, Jon Rahm, Tony Finau, Fowler, Watson, Webb Simpson, Gary Woodland, Tyrrell Hatton, Cameron Smith, Matsuyama, Kyle Stanley, Mickelson, Billy Horschel, Andrew Putnam, Brandt Snedeker, Satoshi Kodaira and Kevin Na. A field of 132 players will compete for a total purse of $7.1m, with the winner collecting $1.278m and 500 FedExCup points. The tournament will be held at TPC Scottsdale. Known as “The People’s Open” it has gained legendary status for being the most unique event in golf. The 2019 edition will mark the 84th playing of the event (one of the five oldest events on the PGA TOUR) and the 10th as the Waste Management Phoenix Open. Phil Mickelson. There’s no rough here - he loves it!